According to the American Cancer Society, there are close to 8,850 new cases of testicular cancer diagnosed annually in the United States, leading to approximately 410 deaths from the disease. Working together for a common cause to aide a neighbor in need, a group of hockey loving friends sought to decrease associated burdens that fell upon Phil Spinosa a couple of years back. In the fall of 2012, Spinosa experienced intense discomfort in his groin area, forcing him to visit an emergency room in his suburban Philadelphia community. Within hours the doctors discovered a malignant mass in his testicle, later delivering a favorable prognosis given the early development of the tumor and the type of cancerous cells they discovered. An avid hockey player, the husband and father of three faced mounting medical bills while battling the disease with a grueling treatment regiment. 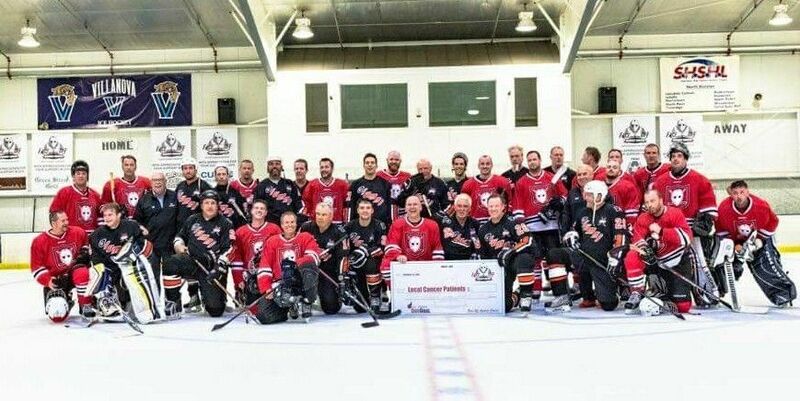 Stepping in to assist Spinosa manage his unforeseen financial burdens, teammates of his recreational hockey team and members of Greater Philadelphia’s hockey community came together for a common cause.